The cauliflower has an appreciable quantity of minerals that have an important acting in the formation of bones, teeth and blood, among them, are the calcium, phosphorus and iron. In addition, have present vitamins B complex (B2, B5), which help treat skin problems, the good work of the digestive system, are essential to growth and prevent the hair fall. 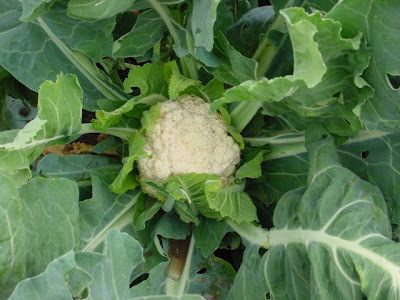 Very rich in vitamin A, cauliflower is recommended in cases of malnutrition, general weakness and convalescence. Its green leaves are very effective in combating anaemia. Medicinal Properties: fortifying, mineralizing, stomach acidity neutralization.